I love the Holiday Season and I love beer! Wonderful winter ales, imperial stouts, all things rich and delicious. Well this Holiday Season keeps getting better! 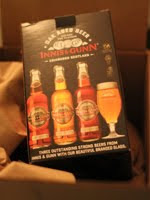 The kind folks at Innis & Gunn have reached out to the Beer Geeks yet again with a little holiday sampler. Look for this pack containing their Original, Spiced Rum, Winter Warmer 2011 and a tasting glass, all in a smart 4-pack box. 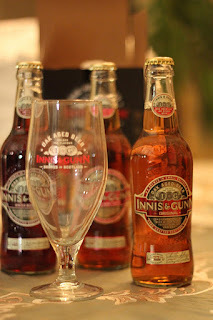 Available at fine beer stores and the LCBO.